Then, something absolutely disastrous happened… for her. Now, the ratings for Maddow and the entire leftist network are in free-fall as fed-up Americans change the channel. MSNBC might NEVER recover — and it already has people questioning if Maddow is finished! Maddow averaged 3.07 million viewers and led cable news in her time slot in the 25-54 age demographic that advertisers love in the first quarter (but was still well behind Fox News host Sean Hannity in total viewers). But as it turns out, making up wild allegations and suggesting the removal of a democratically elected leader based on outright lies isn’t good for business. The day after Attorney General William Barr announced that the Trump was cleared of both collusion and obstruction allegations, Maddow’s ratings plunged by 13 percent. She saw an even BIGGER drop in her core audience. In the 25-52 demographic, her ratings fell by a whopping 15 percent, according to the early rating numbers. Those numbers translate into nearly HALF A MILLION disgusted viewers changing the channel in search of better, more reliable and more honest sources of information. 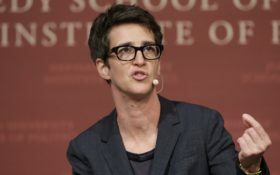 Elsewhere on the network, ratings plunged across the board… in some cases suffering even bigger drops as the first week of April gave MSNBC its second-lowest ratings of the year, putting it in a distant second place after Fox News in both primetime and total daily viewers. And early indications are, Maddow’s audience continues to abandon her. So far in April, her ratings are done as much as 34 percent from last April! 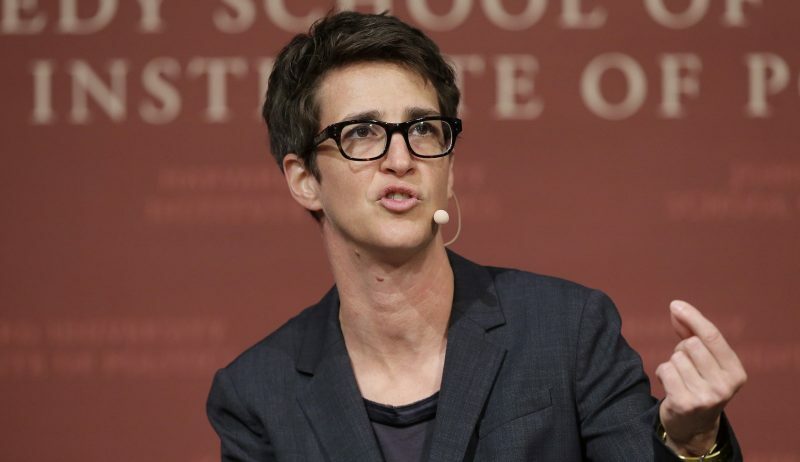 That could lead to BIG CHANGES at the leftist network… and if the plunge continues, Maddow could suffer from the indignity of a lesser time slot. Even worse, she could find herself booted OFF THE AIR. Along with that rating plunge… along with viewers changing the channel in droves… Americans no longer trust the entire network. MSNBC just finished DEAD LAST in a new poll asking Americans which sources of news they trust the most! The three legacy broadcast networks – ABC, CBS, and NBC – topped the poll. But CNN… now long past its glory days as America’s most trusted cable network… has fallen, while Fox News has risen. The two are now in a virtual dead heat, and tied with The New York Times, with between 52 and 53 percent of Americans saying they trust the three. Among Republicans, CNN and the Times have suffered a 20-point drop in trust in just two years… a product, no doubt, of both relentlessly pushing the false Russia narrative. MSNBC was way down the list at just 46 percent. Even more significantly, the same poll from The Hollywood Reporter/Morning Consult shows how Americans are now more conscious than ever of the obvious anti-Trump bias in the media. Overall, EVERY single major mainstream source of news was perceived – correctly – as biased to the left. Fox News was the only network in the survey NOT to have a liberal bias. CNN was named most liberal, with 46 percent of Americans in the survey calling it biased to the left, followed closely behind by MSNBC at 43 percent. That’s STILL not all the bad news for MSNBC. Of course, in today’s hyper-partisan environment, there are definite party differences driving that divide.